New Haven, Mo. 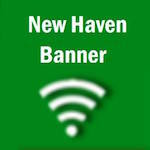 – A temporary ban on recreational burning has been issued by order of the City of New Haven Fire Marshal. According to the “no burn order” released by city officials earlier this afternoon, “…a temporary ban on recreational burning and all other forms of open burning in the City of New Haven goes into effect immediately, June 27 and will remain in force until further notice." Excessively dry conditions coupled with extreme heat forecast for the next several days has created a severe fire hazard across the area. Individuals who conduct open burning of any kind and/or who shoot fireworks during these hazardous conditions put lives and property at risk. “The City of New Haven further advises that it is a violation of City Ordinance to shoot off fireworks inside the city limits. Residents are advised that this ordinance will be strictly enforced and firing and shooting off fireworks will not be tolerated. Click here for the official order issued by the City of New Haven.